I pre ordered The Fractured But Whole which is supposed to get me the Stick of Truth for Xbox One. 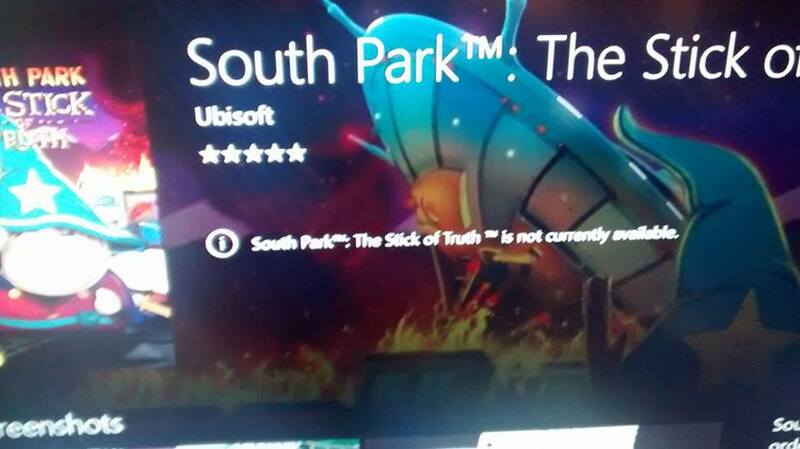 I have been on the phone with MS support and with Ubisoft as my problem is the Stick of Truth will not let me download it. When I go to my games install or ready to install or que nothing is there. When I go straight to the market place and type in Stick of Truth the game comes up but it does not allow me to install or download. I'm also experiencing this issue. I'll post the error below and Xbox support has been entirely useless.